For the guys down south, the northern migrators dont appear to be in Wisconsin yet as most the mallards around are local and a lot of the teal/woodies are starting to move on. I shot a nice 3 curl mallard last Thursday, nicest bird for me in a long time - we figure it was one of our local sanctuary birds. Getting toward the end here, may be another 40+ days minus a week for the deer gun season. Winding down soon here. Where in Cali do you hunt. I want to hunt with you. I'm lucky to get 3 in a hunt. 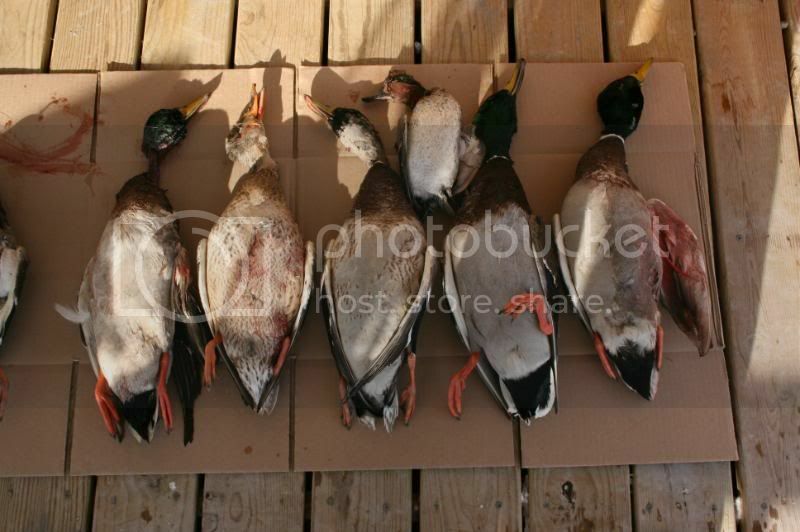 I've only limited out once this year, I've hunted about 14 times, a total of about 20 ducks. No geese yet, way to warm in MT. No snow, and its 9:45 PM here and its about 65* outside, nothing to bring them down here. Why are you guys getting birds? We have lots of places for the ducks to hang out. In the Sacramento Valley, it's not uncommon to have 600,000+ acres of rice fields flooded Oct - Feb. Add in our many state and federal wildlife areas, and the birds have it pretty good. Of course, all these areas are not hunted, so sometimes the birds can just rest and avoid being shot. It can be a real Catch-22 sometimes. Looks like the Browning is this year's workhorse. Any reason you're opting for that one over the nellis? My newest SBE II is dialed in for turkeys. It took me so long to work up the combination of Jellyhead + Win XR, that I just want to leave that gun the way it is. I spend way more on turks than I do ducks, so a dedicated turkey SBE II makes sense for me. The Browning Silver is my refuge and rice gun. The Dura Touch started peeling after a few hunts, so I don't care what the gun looks like. In a few weeks when the ducks pick up, I'll probably be shooting the M2 20 more. I took a few days off, but some birds were there when I went back. The sprig in the second photo had the largest body of any sprig I have ever killed. No tail, just a large body. He's almost as big as the speck. I shot 3 Teal this year. Fun little birds to shoot. My favorite ducks to eat and kill are Canvasback. The are Pretty unique birds. Took three this year. One day on my youth hunt I limited out with a good mixed bag. 1st day I went I got 2 woodies, 1 teal, and three mallards. But lost a mallard criple off the double I shot. 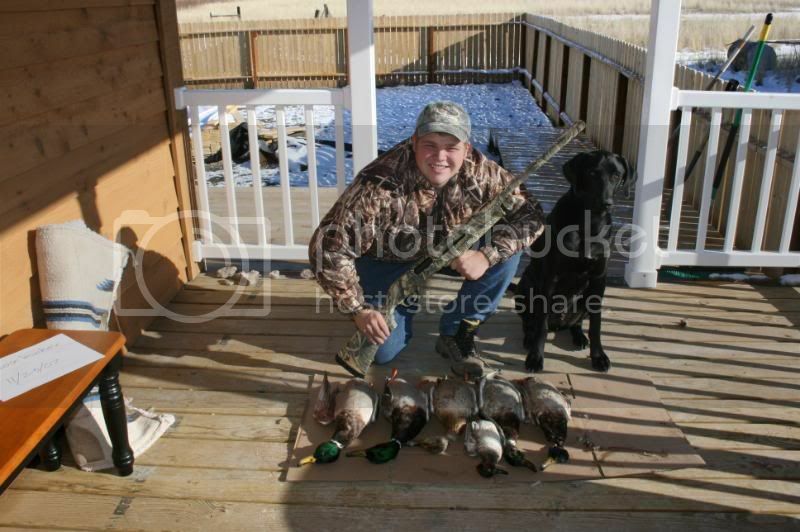 The next day, 2 teal, 2 mallards and a woddie. And got my first few ring neck ducks this year. Worst birds ever to eat. I forgot to post these. Got them about a week and a half ago. Only one hen in this batch, I've been trying to avoid hitting them, but it was 4 minutes to the end of legal shooting hours for that day and 3 birds came in, I just shot the lead bird, happened to be her, but she filled my limit. You can see the young bird in the center. 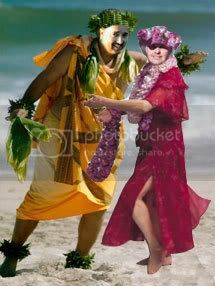 I moved to Hawaii for the hunnies - even the ugly ones. I've been taking hoola lessons! Is she hawt or what! "She" sure is cute . New to the boards but have a Nova and Condor I duck hunt with. Here are a few pictures from this season so far. We have hunted 13/30 days and have killed 162 birds so far. Still have 30 days left in our MS season. 32 divers and a few gadwalls before a storm. This hunt got 3 17 year olds ADDICTED to duck hunting. Buck with a nice mixed bag!